Use your own clinical patient monitor during simulation training for increased simulation realism. Use VitalsBridge during simulation training to present vital signs onto a commercially available patient monitor. By using the same patient monitor used in clinical practice, you can allow learners to interpret vital signs as they will in a real clinical setting and increase simulation realism. The result is better-trained and more confident healthcare providers, reduced medical errors and increased efficiency. Familiarize staff with monitor features, setup, and calibration. Perform effective EHIS training (Electronic Hospital Information Systems) to record and predict potential patient risks. Perform live capnography on simulators as well as standardized patients. 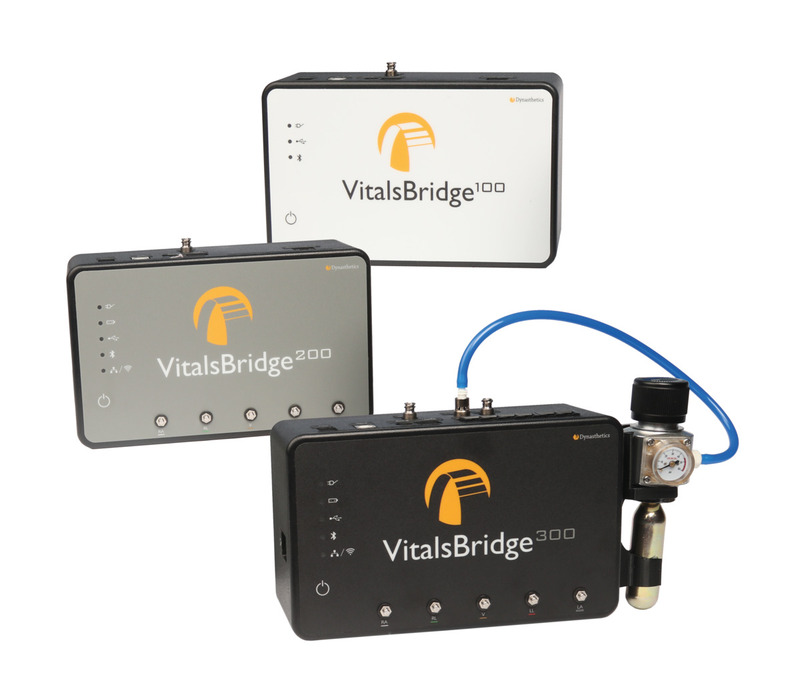 Use VitalsBridge to train your new employees on the monitoring equipment and technology they will use daily. View and control vital signs on nearly any monitor used in clinical practice using LLEAP simulation software. If you already own a compatible simulator there is no need for an upgrade or a new purchase. You’re all set for VitalsBridge. Many others - contact us if you are looking for specific monitor compatibility not listed here. Get the best start with VitalsBridge with our 1-day implementation service. Please, get in touch for more information. The VitalsBridge has a 1 year standard warranty. Extended warranties may be purchased as an add-on to your VitalsBridge purchase. Installation and configuration. Get up and running in no time. Please complete this configuration survey to help us determine the appropriate cable set to match to your patient monitor. Upon receipt of your purchase order, a representative will contact you to confirm your order prior to shipment. Before beginning this survey, you will want to know the brand and model name(s) of the patient monitor(s) you plan to use during your simulations. Bridge the gap between simulation and real clinical equipment. The VitalsBridge simulator interface makes it possible to use your own clinical patient monitor during simulation training.